Yes I bet that Air Sunshine will have baggage issues. Those who still travel "heavy" will not want them. To renew its fleet of 12 B738. First to arrive in Q4 2019. Congrats to them. I think BW is making a mistake not making at least 2 of the 12 MAX 9s or 10s. Hope BW has the common sense to have its 737 Max8s outfitted with washrooms a little larger than AA's where you have to walk in and out sideways and where the wash basin is the size of a skinny man's forearm! AA, DL and UA have all made their toilets smaller, just 24" wide. If BW will have wider ones, then the fewer seats will need to have higher yields. BW has to compete against AA and B6 so having more legroom and wider seats will be a competitive factor. Caribbean people aren't the smallest people in the world. BWs fares tend not to be cheaper than the competition. Hopefully they will also change the livery and make it more colorful. Look at Caribbean flags as an example. Not one of them have this purple. My understanding is that they will use slim line seats so seat pitch will be reduced, can't do anything about width as that is already standard. Not sure on whether Business will be lie flat like other operators are doing but will be a huge competitive advantage to what AA is offering. I don’t see the lie flat seats being that much of an advantage over AA as they compete on relatively short, daytime flights to Miami. Where I think lie flat will make a difference if implemented, is to JFK and YYZ where the flights are longer and some are overnight. Which routes do you think need the larger plane? Congratulations to Caribbean Airlines on the order for a dozen Boeing 737 MAX 8s! This is great for the airline as they can take on the competition more effectively. One would presume that the Jamaican routes would largely stay as is given the one - for - one replacement of the 800s. I do not see them needing the MAX 10, none of their routes needs the extra capacity on a sustained basis. In other developments, I was shocked to hear about the Fly Jamaica accident. I wish them the best and hope for speedy recovery of the injured. Condolences to the loved ones of the passenger who passed away. Hop to it, fly for life! I would respectfully submit that BA carry a fair number of passengers on the UVF - POS sector and are a significant player between Trinidad and St Lucia. Alongside their 777-200ER operating 5 times weekly we have a daily BW ATR and a daily LI ATR between POS and SLU. At holiday times (like summer) they get a lot of traffic on that leg. I have not flown BA into TAB lately but, with POS - ANU flights reduced to 2-3 weekly on BW and a daily LI flight via SLU they actually potentially offer significant capacity between the two countries on their 2 weekly flights. Of course now LI also have a daily ANU - POS nonstop so they are likely sewing up the market more. There are T&T aviation issues which refuse to go away. Prime Min­is­ter Dr Kei­th Row­ley has referred to the ill-fated Caribbean Airlines POS-LGW route which lost TT$260m (US$38.8m). He also chal­lenged Op­po­si­tion Leader Kam­la Per­sad-Bisses­sar to make avail­able the find­ings of the in­ves­ti­ga­tion in 2011 in­to the sale of BW’s Heathrow slots in 2006 for TT$60m (US$9m). You are right that this keeps coming up every so often. About the famous BWIA grandfather slots into LHR, T&T were always in a weak bargaining position as the Government wanted a Trinidad - London air link maintained. Airlines from elsewhere were offering more but could not operate the route, VS offered more but did not wish to serve POS directly and preferred to do so indirectly via TAB and BGI. BA agreed to resume flights after 13 years away and were really the only option. It was thus a judgement call as to whether a short-term financial rush outweighed the longer-term benefits of an important air service. To me they made the right decision, comtroversy notwithstanding. As for Caribbean Airlines starting LGW in 2012, this was a zany vanity project. The basis of starting the route, in competition with the now-entrenched BA and requiring a dedicated subfleet which had low utilisation overall, could be questioned. It seemed a nice thing to do but the market was not there for two airlines between POS and London. Indeed there has not been a market for more than one airline on the route since 1994, when BA pulled out. When one considers that some passengers travel via BGI or MIA to get to London one sees how restricted the overall market is. Lol your obsession with the purple is legendary now. I've been reading since the very first thread and you always gripe about the purple. No point increasing to -10s when the flights are not consistently full. BWIA also operated London nonstops (POS-LHR using the Airbus A340-300) between I believe October 2006 and March 2007. I won't have thought that any money would have been made. Some ABC's Islands related news. BIA signs contract with a contractor for the expansion of Flamingo International Airport's Departure Hall. This is part of phase 1 of three phase 15 year expansion plans for Flamingo Airport. Phase 3 will be the construction of a brand new terminal to the east of the current terminal near the new control tower. Though delayed due to funding, the the project appear to be gaining traction. Back when I was a reporter, I had a conversation with the previous director of the airport and he revealed that the terminal is built with the intention to be easily expanded as needed with either more terminal space or jet bridges. On november 29th they will organize a so-called construction fair where contractors and suppliers can get in contact with the airport regarding the expansion plans. MIA, YYZ and POS-KIN all need increase in seats as those routes are averaging loads at over 85% year round. Actually MIA is one of CAL's highest Yielding routes where business class goes out full most times. You are right that this keeps coming up every so often. About the famous BWIA grandfather slots into LHR, T&T were always in a weak bargaining position as the Government wanted a Trinidad - London air link maintained. Airlines from elsewhere were offering more but could not operate the route, VS offered more but did not wish to serve POS directly and preferred to do so indirectly via TAB and BGI. BA agreed to resume flights after 13 years away and were really the only option. It was thus a judgement call as to whether a short-term financial rush outweighed the longer-term benefits of an important air service. To me they made the right decision, controversy notwithstanding. As for Caribbean Airlines starting LGW in 2012, this was a zany vanity project. The basis of starting the route, in competition with the now-entrenched BA and requiring a dedicated subfleet which had low utilization overall, could be questioned. It seemed a nice thing to do but the market was not there for two airlines between POS and London. Indeed there has not been a market for more than one airline on the route since 1994, when BA pulled out. When one considers that some passengers travel via BGI or MIA to get to London one sees how restricted the overall market is. It's because some people feel that "We need to Fly to London" why this issue keeps coming up. Long-haul was barely profitable for BWIA in its heyday with the L1011s, and going to A340 just accelerated the demise of LHR. A lot of people don't understand the airline industry and always claims we need to go back to the UK. Those days are long gone, BA and VS are very strong now compare to the 80s and 90s, the UK Holiday LCC carriers are giving more volumes and the Point of sale in the UK has been dwindling for years. A sub fleet of 2-3 widebodies are a sure way of losing money and CAL lots boat loads going back to the UK because the then government now opposition found everything the previous government did was wrong and corrupt. They were proven dead wrong and after wrecking the airline with George Nicolas, they eventually wised up and started bring in persons who know how to turn around the airline. I know that Miami-POS is one of CAL's higher yielding routes.What I'm saying is that i don't see lie flat seats adding much value proposition to that route seeing as it's a daytime flight and relatively short stage length (under 4 hours). I don't see people choosing an airline based on a lie flat seat for such a short flight that's in the middle of the day. I would see them gaining an advantage by putting lie flats seats (potentially) on routes like JFK-POS/GEO where the flights are longer and some are red eyes. Show me any Caribbean flag with purple. Face it. It just isnt a Caribbean color. An Englishman was CEO of BW at the time. Look at the livery of Air Jamaica, BWIA and LIAT and you will see the Caribbean aesthetic. Even the "colonial" airlines like Air Caraibes and Air Antilles. Interesting rendering. Can't say it'll ever top the open-air magnificence of the current terminal though. Surprising to read that KLM is still intending to make Bonaire some sort of Latin America connection hub. I figured that chapter had flown into history with the last MD-11s. Interestingly, B6 has made a significant change to its FLL-POS schedule. Flights will now be departing FLL at 21:40 and arriving in POS at 2:13+1 and then departing POS at 3:24 and arriving in FLL at 6:30. This seems to last up until Feb 27. It hints to me that B6 isn't doing that well on FLL-POS and it would rather run the flight at a time when a plane would otherwise be idle than use a plane during an otherwise busy time of day when the plane could be used for a more profitable flight. Who did fly Jamaica sub the flights to? B6 has been changing frequency and times into POS over the last two years, they started daily and now 4w in the off peak. They had early morning departure from FLL, then to mid morning and now red eyes. Their fares are always the lowest in the market while the loads across the 3 airlines are similar and I believe they are looking at competing for the connecting traffic. Maybe they think in the off peak those times will allow for more connecting traffic from the East Coast to boast loads/yields? With AA adding a third flight for the winter travel I believe things may become tougher for them. BW seems to be fending off B6 on its POS routes. In fact the real loser when AC entered the YYZ POS was WS which are now down to 1X outside of the peak periods. I assume that with their improved IFE systems combined with newer planes with refreshed cabins they should continue to do well into POS even as GEO becomes a harsher terrain for them, given expected new entrants, AA having just begun service. Now Jamaica is a whole other story with BW now only a mere shadow of what it was when its started its North American routes to that island 7 years ago. Curious to see who suffers with the entry of DL into the JFK KIN route. They haven't been too VFR centered aside from their PR and DR routes. I believe it was a DY 767, but the interesting thing is the airline has not communicated back to customers since Nov 23rd and the high season will begin soon. I just did some dummy booking and it looks like you cannot book flights on their website, if that is the case then this airline is in trouble and the people already holding tickets traveling for Christmas will be in for some pain. They have also cancelled flights for today according to flightaware. I feel sorry for their customers but this airline has been a risky venture all along with the fleet mixture they engaged in. WS started off with daily then gradually to now 1w, and peak they are scheduling 4w. I'm not sure how that makes sense for them. OJ used N602KW for a while but it seems only up to 24 November. Today's JFK-KIN was cancelled. I suspect that OJ has run out of money. Indeed there haven't been any talks of that lately. I believe the introduction of the Boeing 787 into their fleet has made it more profitable to fly directly to most of the routes to South America instead of setting up a hub at BON. And the rest can be accessed through code-shares and interlining agreements with other airlines. Reading this one gets the impression of some over confidence from the CEO based on BW's improved financials. Examples include plans to re-activate London (not sure which airport) and possible flights to Africa and routes into deeper South America, as well as a wholesaler subsidiary. Not sure who is going to use them from South America given CM's heavy market penetration. I also am not sure that using 737 MAX for a new hub for Caribbean markets, based possibly in KIN makes sense. Seems too much plane when a better idea will be to cooperate with Inter Caribbean, if they get out of their current difficulties and their Insel involvement doesn't damage them. SDQ is seeing better connectivity in the Caribbean with various Dominican carriers with small planes. Suspect PAP to CARICOM will be mainly a business route requiring high frequencies with smaller planes. Also there is speculation that JFK MBJ might be chopped, removing BW's largest leisure market destination. Medera immediately lost credibility in my eyes when he talked about London and Africa. It looks to me as if he's desperately looking around for places to fly the 12 737s to. I get no sense of rightsizing the fleet for a profitable route network. Would some expansion in ANU, BGI and UVF make sense? They do well out of the US. Perhaps a few leisure routes from TAB? People who are looking for a holiday in a destination less well-developed than Barbados can go to Grenada or St Lucia (if they fancy some excitement on Fridays at Gros Islet). Tobago just isn't promoted properly despite having very good beaches and some nice hotels. Despite Air Sunshine's success on their new SLU service, they are discontinuing the SLU stopover on their 2x weekly STX-SKB-DOM-SLU after January 28 due to excessive taxes by the St. Lucia government. Sad! Has Insel found investors yet? Would AV be a good partner? At what point do they need to upgrade their fleet? I think BW trying to compete on leisure routes out of ANU, BGI, UVF against the likes of AA, B6, etc. would be a surefire way to lose money and lots of it. If BW couldn't compete in MBJ which is a much larger leisure market than any of the other destinations and which still has a decent sized VFR market into JFK/FLL then there's no way they're going to do well out of BGI which B6 has covered out of JFK and AA has covered out of MIA (with B6 also on FLL), UVF which AA covers well out of MIA, DL covers well out of ATL and B6 covers well from JFK or ANU which AA covers well out of MIA and where there are four airlines out of NYC already competing. Is BW aslo getting ETOPS B737-700MAX? That aircraft with some weight penalty might have the range for POS-LON and POS - West Africa. Great that B737MAX could be flown to LON, but, is there still a demand for POS-LON to profitablily support such operation? And West Africa where? What would BW offer West Africans? Connections to MIA, HAV? If CM adds a 3rd PTY-POS-PTY daily, increases MBJ, KIN, GEO, BGI and opens PBM, UVF... BW appeal for POS-South America will diminish exponentially. However, Brazilians and Argentines are always on the look for bottom fares to MIA/FLL/NYC so, IMHO, if BW really studies GRU/EZE market, offers a tolerable schedule and gives a latin-friendly transfer experience at POS, perhaps BW could get some traffic. I'm not on CM's payroll. BW's time for EC (with the exception of St.Vincent )and BGI to US services has gone. Why some are advocating a return to London is beyond me. BW has limited opportunities however,if they do what they currently do better it should assist with their viability. First off they need to sort the transfer situation in POS. Passengers connecting to TAB currently have to clear immigration in POS for example and the transfer logistics using one elevator and one desk is inadequate. In terms of new services I would guess Boston and Washington could work. It is a very common procedure for passengers to be required to clear Immigration and Customs at a country's first port of entry. There's only been a few exceptions I can think of when the aircraft departs for another airport in the same country and the passengers go through formalities at that airport. Please explain why Mr. Madera lost credibility. I mean if Richard Branson, for example, said the same exact thing would you object and say he lost credibility. I think not. It is high time people stop thinking so colonial. I have to ask the question why cant west indians run things. It is like we have to import foreginers all the time and many of them do an exceptionally poor job and weaken CAL but go on to other airlines and make them money on the same routes. Eastern Airlines, now Swift Air, used CAL to get final DOT approvals for schedule services. A long time former CEO of BW is now in the process of starting not one but two airlines one in Canada and the other in the USA and will fly into the Caribbean. Its like people only listen to white or chinese folks but put down fellow west indians who say the same thing. As for ANU, BGI, UVF and even europe it would be an uphill climb to get anything and can be done successfully if done right. But I will say this BW had all those routes and a foreign CEO came in and dropped all of them and Jetblue stepped in and walked away with the bank. Please explain why Mr. Madera lost credibility. I mean if Richard Branson, for example, said the same exact thing would you object and say he lost credibility. I don't know if Richard Branson would have publicly announced hairbrained prospective routes that have little to no economic foundation. His airlines have traditionally competed against other airlines on established routes. I have to disagree - wasnt the CEO of Redjet a foreigner? I would say he has lost plenty of credibility. Not sure why all the talk of expansion when BW is replacing 12 737-800 with the MAX version on a one for one basis meaning that there will not be a net increase in aircraft. In addition the transatlantic routes mentioned would imply another foray into 763 or getting 787s. Its already established that a small fleet of wide bodies cannot be sustained, and even with a joint code with PY to AMS I dont see how this changes. BW is not a factor in the leisure market. I went to a CTO (Caribbean Tourism Org) event in NYC where they were making a presentation. All BW had on offer as leisure destinations out of NYC were MBJ, GND, and TAB. The consensus in the room was that this doesn't provide enough range and volume for the travel trade. They have since dropped GND, In addition, with the exception of KX, Caribbean carriers have not been able to service leisure routes and remain viable. 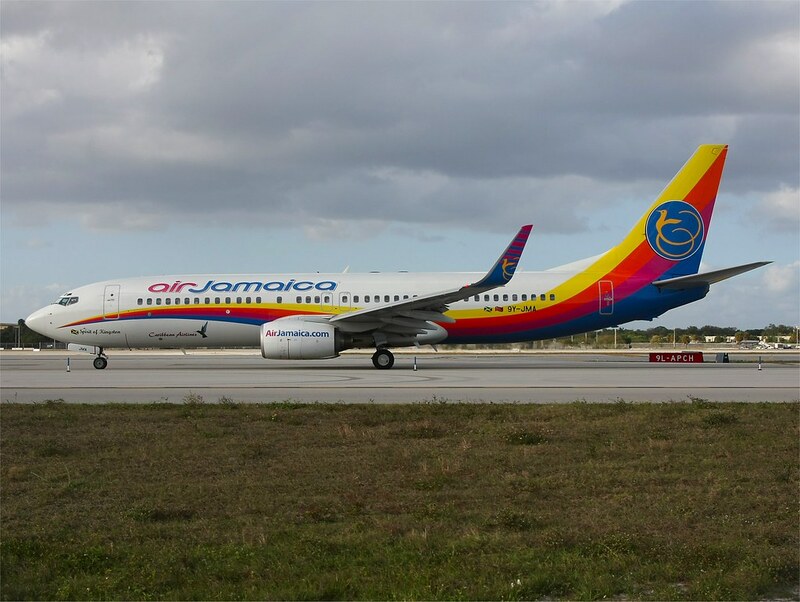 Air Jamaica, successful in its market presence, generated losses and became extremely indebted as a result. The result being that it no longer exists. BGI doesn't need BW and that would have been the best market given that it has a larger component of VFR and outbound (to the USA) travel than do the other islands mentioned. With AA and B6 battling it out between them (now 4x daily out of SoFL and 2x out of NY) there is no room for BW. I believe Medera was speaking in the context of routes that might be possible with the extra range of the MAX 8 and not a separate sub fleet. The western coast of Africa(DSS for example) should be within its range. POS(or KIN)-BDA-LGW might be a possibility within the MAX 8’s range as well. I believe in the near term though that BW will focus on existing opportunities in the region before attempting those riskier routes. It seems KIN is back in focus. BW has posted openings for pilots and others for the KIN base recently. Medera immediately lost credibility in my eyes when he talked about London and Africa. It looks to me as if he's desperately lAs for ANU, BGI, UVF and even europe it would be an uphill climb to get anything and can be done successfully if done right. But I will say this BW had all those routes and a foreign CEO came in and dropped all of them and Jetblue stepped in and walked away with the bank. BW cannot even compete against B6 into KIN so why you think that they can in leisure markets is quite curious. They have JFK MBJ and now there are rumors that they might be forced to drop it, just as increased competition forced them out of the FLL MBJ. Yes now when a T&T CEO is in charge. BWIA had already dropped UVF by the time the foreign CEO came in. Their performance out of ANU was abysmal. Flights arriving from JFK with 15 passengers, and that was with a 2X week. BGI refused to provide the incentives that other carriers were getting when BW (Caribbean Airlines) approached them. Even when AA left the JFK BGI market, leaving it extremely underserved, BGI refused to provide any incentives for BW to operate that route, but did when DL came in (for a short while) to fill the gap. The fact remains that these islands dont see BW as a factor in the leisure markets so think that providing them with supports is a waste of scarce $$. And there is some validity to that as BW has been unable to develop leisure travel to TAB, even though it has the same assets and challenges that GND has. B6 entered GND and there has been a significant increase in its US leisure market. As to "colonial " thinking? Well maybe that exists on the Jamaica forum but not on this one. From the first time that Irishman came up with his Redjet concept almost every poster on this forum laughed at it and predicted its early failure. And fail it did for precisely the same reasons that we forecasted. Branson is among the global elite so can have any hair brained scheme that he wishes as if it doesnt works its his money, not the T&T tax payers money needed for better things that flood mitigation.